The Algarve region in Portugal is recognized by the golfing community as a home to some of the most interesting golf courses in the whole world. The list of world class courses in the Algarve is long; it’s easy to get confused when selecting the courses to play. We’re here to help you solve your problem. Below is a list of the most interesting Algarve golf courses. Widely considered as one of three best courses in the Algarve, this popular course is situated in a stunningly picturesque landscape close to Ria Formosa. The nature park on one side and the ocean on the other offer a unique and interesting environment for golfers to enjoy the sport. The course architect, Rocky Roquemore has added more than 300 trees and plants to blend the course with its natural surroundings. The exceedingly challenging Castro Marim Course is situated between the Atlantic and the Guadiana River. Experienced and skilled golfers will have the time of their lives playing at this competitive golf course. 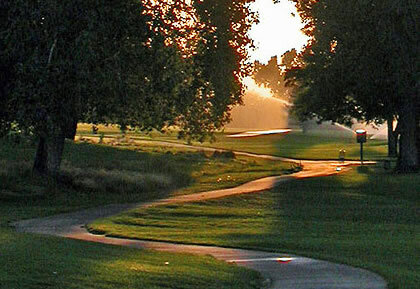 The many water hazards, trees, and lakes, most of them on the fairways, bring out the best in golfers. The course is equally suitable for higher handicappers. It’s every designer’s dream to create a golf course that allows every golfer, irrespective of his/her skill level and experience, to have a wonderful time on the grass. The Quinta do Vale is one such course. The architect, Seve Ballesteros has used his creative freedom to design a visually stunning course with many interesting holes without damaging the natural beauty of the terrain. Each one of the Sir Henry Cotton’s creations is special and the Benamor Golf Course is no different. The uniqueness of this ground is that it has a very different look and feel to it. Players have to be focused and accurate, to avoid hitting the roughs. The Benamor Course is also famous for its scenic beauty. The course has the sea on the south side and is bordered by the hills on the north. It’s important to retain the natural beauty of the landscape when designing a golf course. The architect of Santo Antonio, Pepe Gancedo holds a similar view. His belief is that to create an excellent course very little alteration must be done with the terrain. This course is worth a visit just to see how to construct a course without disturbing nature. Here, you’ll find the course running through hilly terrain and the many bunkers and lakes test the skill of the players.